This Sunday we will be closed and supporting Rob who will be taking part in the ASICS Windermere Marathon in support of the Brathay Trust. Over the last couple of months Rob has been busy training and preparing for what lies ahead. keep an eye on our facebook page as we will be reporting live from the event. 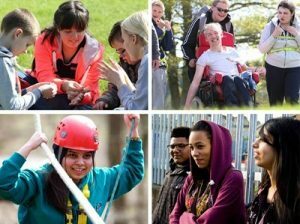 Founded in 1946, Brathay supports and improves the life choices and well being of young people and their families. 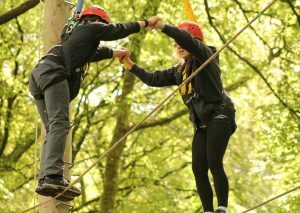 Focusing on engagement, development and leadership, Brathay supports young people to develop, become more confident, and improve on their strengths. Brathays approach is underpinned by Awareness, Choice and Action. This approach allows young people to unlock their potential, be aware, make the right choices and take action to benefit themselves and others. To find out more about Brathay and the amazing work they do visit https://www.brathay.org.uk. If you would like to support Rob you can visit his JustGiving page at www.justgiving.com/fundraising/robin-stuart or come and cheer him on at the marathon taking part this Sunday. 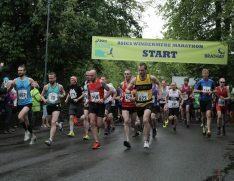 To find out more about the event and how to show your support visit https://www.brathay.org.uk/events/asics-windermere-marathon. 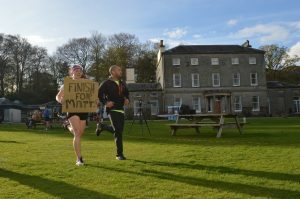 The money raised through Green’s for Brathay is going towards Brathay’s Martin Campbell Memorial Fund, which is funding mental health projects for vulnerable young people. Last month we had the honor of being part of a really positive response to a very sad situation. Following the death of Matt Campbell Rob took part in finishing the last 3.7 miles for Matt at Brathay Hall. I’m sure both Martin and Matt would be very proud. We would like to take this opportunity to thank all our lovely customers who have supported Rob in his efforts.